When and Where was David Lloyd George Born? 17th January 1863, Manchester, England. David Lloyd George was the son of William George a Welsh Headmaster of a Manchester Elementary School. His mother was the daughter of David Lloyd a Baptist minister. Village School in Llanystumdwy, Wales. Later qualified as an Articled Clerk. 1865: Death of his father. He and his mother moved to Llanystumdwy near Cricieth in Gwynedd, North Wales and lived with his uncle Richard Lloyd a shoemaker and baptist Minister. 1879: He went to work in a local Solicitor’s office. 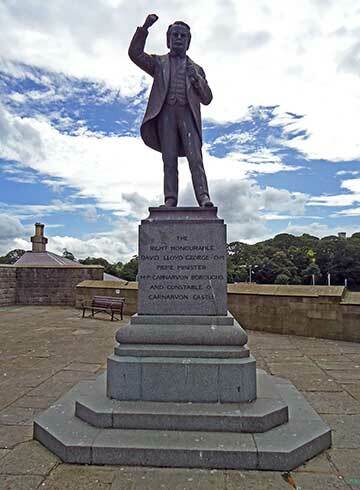 1890: David Lloyd-George elected to Parliament by Caernarvon Boroughs for the first time by the Liberal party, a constituency he was to hold for 55 years. 1905: The Liberal Party gained power and he was elected as the President of the Board of Trade. 1906: Lloyd-George was responsible for the passing of the Merchant Shipping Act. 1907: He was responsible for the passing of the Patents Act. 1908: Appointed as the Chancellor of the Exchequer and proposed the first Act allowing Old Age Pensions. 1909: Lloyd-George presided over the so-called People’s Budget which was rejected by the House of Lords. 1911: David Lloyd-George led the National Insurance Act through Parliament. 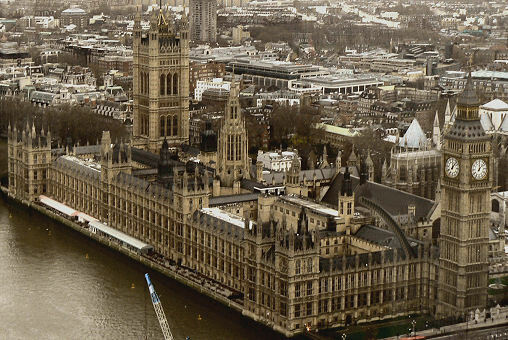 The Lords were stripped of their power of veto after their performance in the previous year against Lloyd George’s budget. 1914: At the outbreak of the First World War the Prime Minister Herbert Asquith had an urgent reshuffle of his government and made Lloyd George Minister of Munitions to try and combat the shortages that British troops were then experiencing. 1916: After his successes in galvanising war production in British factories he was made Minister of War. He came into conflict with Asquith when he proposed a war Committee of four Ministers to run the war effort. Lloyd George didn’t want Asquith to Chair this Committee as he felt him to be an unsuitable war leader. The newspapers got hold of this story and eventually Asquith resigned leaving the way for Lloyd George to become Prime Minister. 1917: Lloyd-George stated that it would be more efficient for the English and French armies to fight under one leader. 1918: Eventually everyone agreed to fight under the French General Foch and in November the war finally came to an end. 1919: He went to Versailles outside Paris to attend the Peace Conference where he warned about the problems that revenge would cause and fought against some of the more harsh penalties proposed in the Treaty. 1921: David Lloyd-George negotiated with Sin Fein and conceded the setting up of the Irish Free state. 1922: His unpopularity about the Irish Question led to his downfall at the General Election. 1931: Following defeat at the General Election he resigned as leader of the Liberal Party and became the leader of a group of independent Liberal M.P’s. 1945: Lloyd-George retained his Parliamentary seat up until his death and was made an Earl in his last few months. 1938: “The Truth about War Treaties”. When and Where did he Die? 26th March 1945. Ty-Newydd, near Llanystumdwy, Caernarvonshire, Wales. Llanystumdwy in the steeply wooded valley of the Afon Dwyfor in Gwynedd, Wales. The grave monument was designed by the Welsh architect Clough Williams-Ellis. A memorial stone designed by Jonah Jones is in the nave of Westminster Abbey and was unveiled in 1970. Britain Unlimited covers 250 of the greatest and most influential Britons who ever lived. (Full List) It tells you what they did, where they went and what they achieved so that you too can follow in their footsteps. You can also find a great deal of other information about Great Britain on the site, such as museums, societies, great houses and travel details. Please see the menus at the top of the page. It is a 200 years since the novelist George Eliot was born. See our page about her life here. It was 100 years on November 11th 2018 when the First World War came to an end. Britain Unlimited has several pages on characters from this period including Wilfred Owen, Paul Nash and Siegfried Sassoon. It is also 200 years since the birth of John Ruskin, art critic and most famous for his work "The Stones of Venice". See our page on his life here.